Located in rural Cheshire, Ashton Hayes is a well knit community of about 1000 people that is aiming to become England's first carbon neutral community. We started our journey in January 2006 and since then we have already cut our carbon dioxide emissions by 23% - by working together, sharing ideas and through behavioural change. 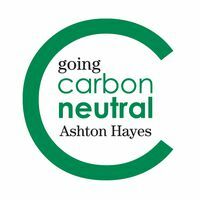 Since 2010 we have been running the Ashton Hayes Community Energy Company - a CIC. This now generates community energy from two PV arrays on public buildngs.